Smash Hit Media is flipping Classic Hits 98.3 WWHP Farmer City IL to Conservative Talk on Monday, November 23. 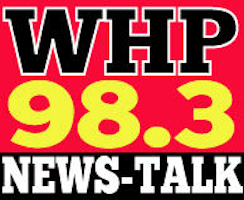 The new “98.3 WHP” will debut with a pair of local shows in drive time. Ian Bayne and Fistbump, who exited mornings at Great Plains Media’s “Cities 92.9” WRPW Colfax in August will return to the Bloomington market on WWHP from 6-9am. Breitbart editor Mike Flynn, who recently ran for a vacated state Congressional seat, will host afternoons from 3-6pm. The station has yet to announce what other programming it will carry. WWHP rimshots both the Bloomington/Normal and Champaign markets.